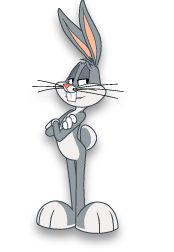 If you tuned into The Looney Tunes Show last Tuesday you probably noticed they updated their character designs to look much better. The animation seems to flow smoother as well. The story lines and jokes are still not great, and Gossamer and The Witch are annoying as ever. But at least I am beginning to get used to Bugs and Daffy's voices. The new look of the show is enough for me to start watching it again. Maybe one day I will even buy the DVD's. But for now there are too many other more important DVD's that I want. 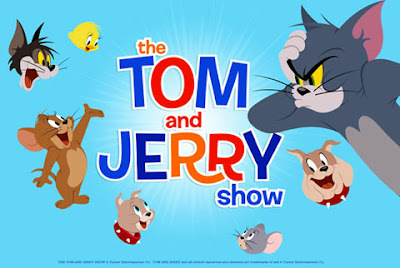 It was announced today that there will be a new Tom & Jerry show coming in 2013. I really hope it is better than Tom & Jerry Tales. I really tried to get into that, but it was just way too terrible. I even bought the DVD's but ended up selling them. Maybe this time they will do it right. I like the press image that was released of the new series. Although Jerry looks like he put on a few pounds. But then again, who hasn't?